Yesterday it was raining all day which caused that bird migration paused. So I thought - in hope of better wetter - that today should theoretically be rather good for a migration count. However, when I went to my local patch this morning, the clouds were still hanging quite low and no bird was flying over me. 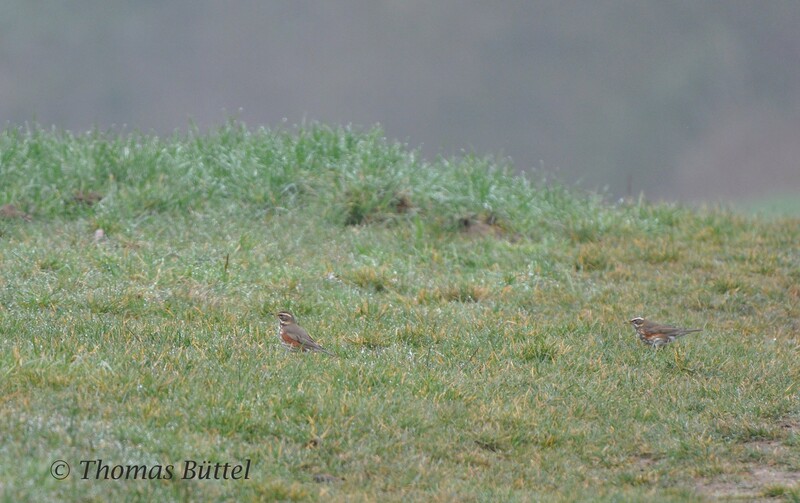 Instead, almost every bush was filled with singing birds, whereby the most seemed to wait for better weather conditions. 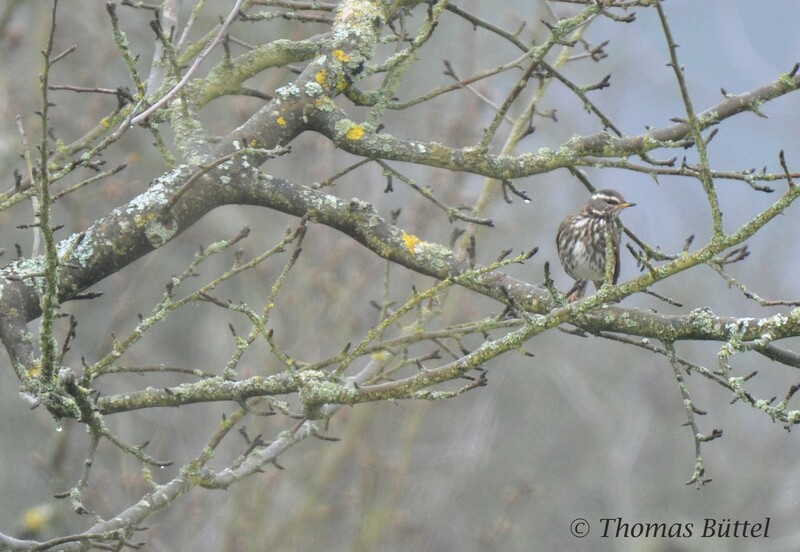 Most conspicious were the numerous Redwings (see pictures below) with their melancholical song, which sound so different to the local Song Thrushes and Blackbirds. All in all there must have been some hundred thrushes feeding on the fields and in the fruit trees. In fact it took at least another hour until the first birds dared to resume their journey. 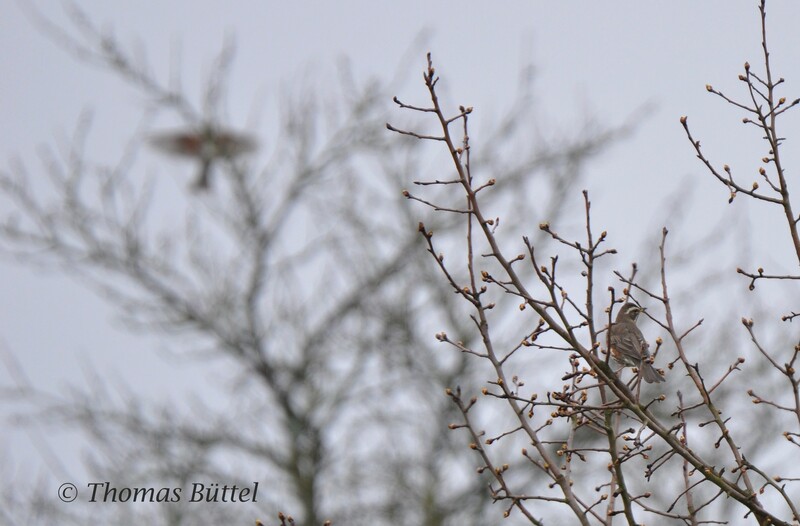 In the course of the next hour I counted more than 1100 Wood Pigeons and 170 Fieldfares migrating northwards. Both reasonable numbers, but there was unfortunately little else. Just as I was about to pack up, an Osprey and five Common Cranes were flying over me. With these two very cool species and my first singing Chiffchaff of the year I came in sum to 40 species, which is a proper result.